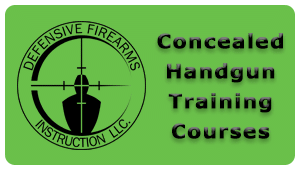 DPSST Unarmed Security Course is the training you need before you can submit your application with the State to become a licensed Security Professional in the State of Oregon. The DPSST Unarmed Security course is a pre-requisite to take the DPSST Armed Security course. The class is 15 hours long and is conducted over a 2 day period. The lecture portion of the class includes topics on ethics, morals and professionalism, how and when to notify public authorities, making citizens arrests, report writing, criminal law, civil law, Use of force and other legal considerations to assist the Security Professional on making good decisions. We also take a more in depth look at some of the functions that individuals perform in this industry such as searches, de-fusing hostile situations, structural analysis, and even service animals and laws pertaining to the ADA for the service industry. Students then take a 50 question closed book test to ensure all information from the DPSST Unarmed Security Course was retained. Students are required to score at least an 85% on the written examination. This course also includes a very in depth section on report writing with many practical application exercises. Upon completion of the DPSST Unarmed Security Course students will be provided with a PS-1 application, which is the initial private security application, and a PS-6 form which is the affidavit of training, that they can take to a prospective employer to be issued a temporary work permit (PS-20 form). We also include a fingerprint card and the PS-4 form with directions on on how, when, and where to get fingerprints completed. Students are also given a DPSST PS-27 code of ethics. It is important to remember that class fees and State fees are paid separately. 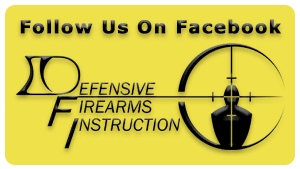 The class fee is $150.00 and is paid to Defensive Firearms Instruction. A separate fee of $105.00 is made payable by a Money Order, DPSST Credit Card Form, or Cashier’s Check to Oregon DPSST Private Security. The State fee is due to DPSST at the time the application is submitted. The DPSST Unarmed Security License is good for a period of two years. A DPSST Unarmed Refresher Course needs to be completed by the end of the second year.